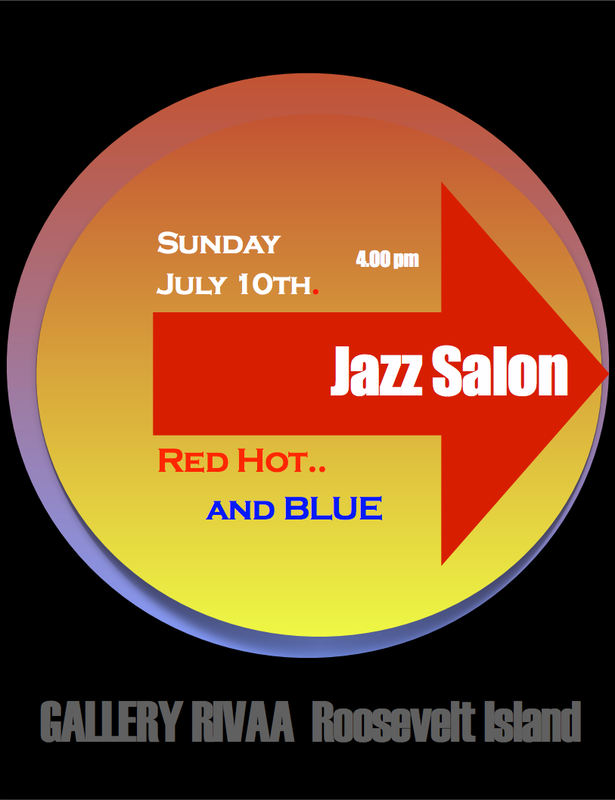 Gallery RIVAA is pleased to invite you to yet another exciting session of First Sunday Jazz Salon this Sunday, July 10th at 4:00 pm at Gallery RIVAA. Please join us and enjoy the evening with some really nice jazz music. 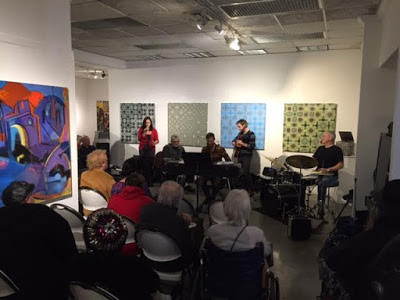 at Gallery RIVAA's May 1 Sunday Jazz Salon. 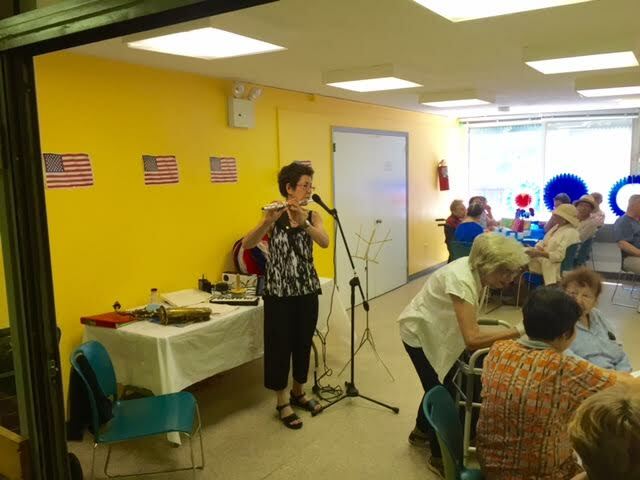 The long time operator of the Roosevelt Island Senior Center was replaced this week by the NYC DFTA. 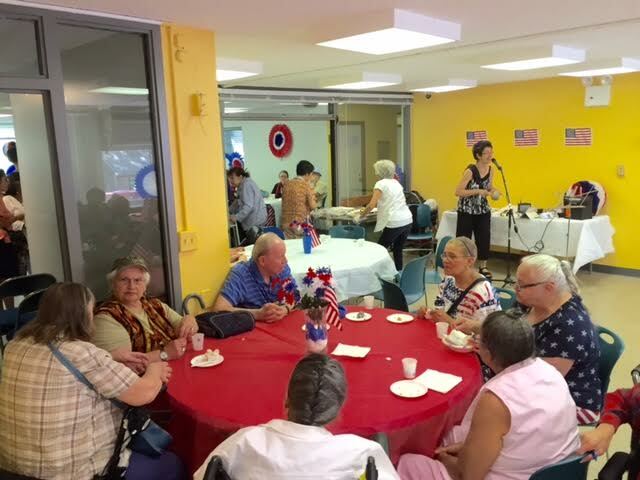 Starting July 1, the Carter Burden Center For The Aging will operate the contract to provide Roosevelt Island Senior Services. No reason has been announced for replacing the Roosevelt Island Senior Center. 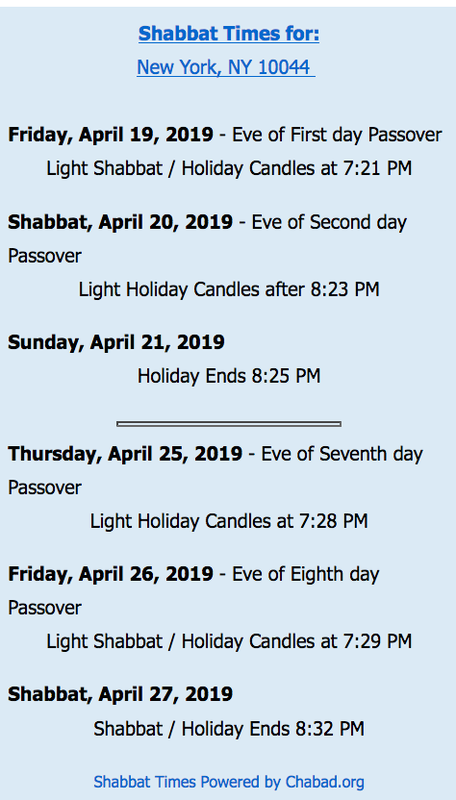 (DFTA is the NYC Department for the Aging). The Carter Burden Center for the Aging (CBCA)will be the new agency running the Roosevelt Island Senior Center, They are dedicated to promoting the well-being of New Yorkers, aged sixty and over, through a full spectrum of services, advocacy and volunteer programs. Their organizational mission is to promote the safety and dignity of seniors and enriching the lives of those they serve. ... I can't get over the level of volunteerism that takes place here. But, it is important to realize that the Department has empowered us to have the sponsorship of this program legally. We are very excited to work hand and hand to build as well as we can going forward. Its also very important to realize with the Carter Burden Center, as with all of our Centers throughout the City, all of our programs are free of charge. You need to be a member of the Carter Burden Center. Everything that we do is free of charge. That is what the Older Americans Act requires and we stay very true to that mission. Some Roosevelt Island Seniors have expressed concerns regarding the Carter Burden Center taking over management of the Senior Center. 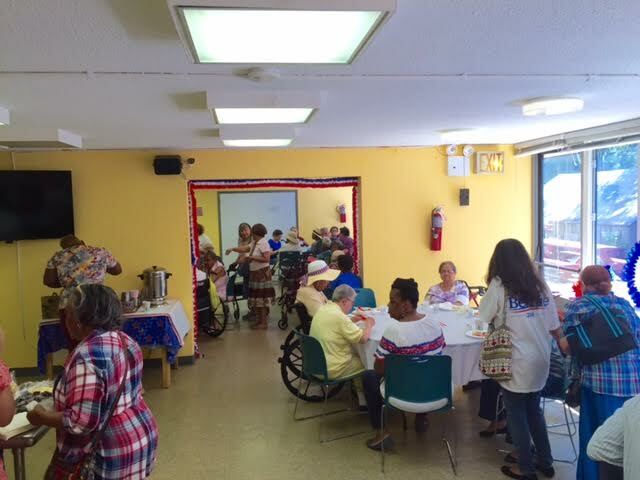 Carter Burden Center took over the Senior Center last Friday, July 1. It cut the pay of all the instructors to $30 a class. The instructors had been paid $40. Carter Burden is also refusing to pay the cost of art supplies for art classes as in the past. The Seniors are worried that the lower fees will cause popular instructors to quit. About 50 Seniors signed letter below asking the DFTA Commissioner and elected officials to choose a different sponsor for the Roosevelt Island Senior Center or to make sure CBCA enhances existing Senior programs. I am receiving emails from Roosevelt Island Seniors concerned that programs are being reduced and that instructors are leaving because they are receiving smaller fees for their classes now that the Carter Burden Center has taken over. Is it true that instructors will receive smaller fees for their classes and programs are being reduced? 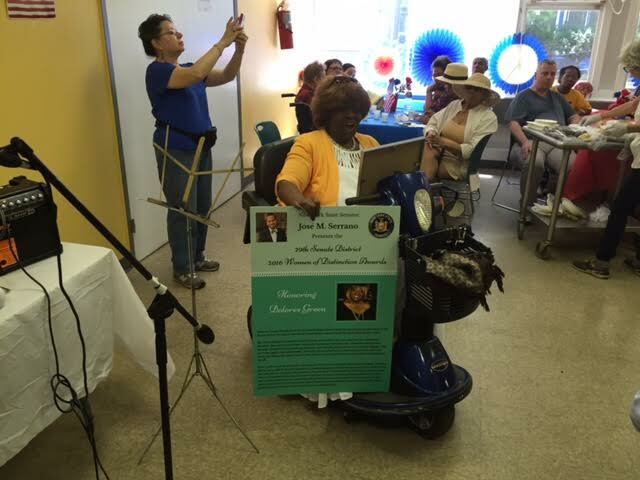 and about the use of the Roosevelt Island Senior Center as a Cooling Center during the very hot weather. We are still in the process of discovery with all programming at the center. We have invited all the instructors to stay and in an effort to not reduce service we need to have feedback regarding which instructors will stay and which will need to be replaced. Our concern is to offer as many classes as possible and we must maximize the use of our DFTA consultant budget. Cooling Center operation: we are continuing to work with building management to ensure seniors’ access to a convenient cooling center. The senior Center will remain open this evening, Thursday July 7th until 8pm and tomorrow, Friday , July 8th , it will have extended hours from 8am until 7pm to comply with the National Weather Service’s heat advisory. 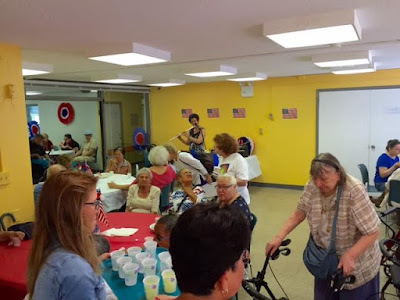 During a June 28 Roosevelt Island Town Hall Meeting, NYC Council Member Ben Kallos reported that Seniors should be receiving the same services if not better when the CBCA takes over management of the Roosevelt Island Senior Center. 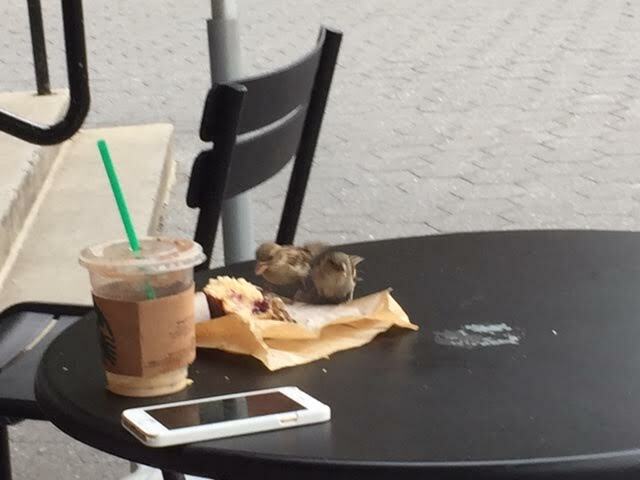 There is a meeting scheduled today. Primary reason: to smooth the waters of duties, responsibilities and programs regarding Carter Burden and RISA. The meeting was organized by Doryne Isley, the Urban American Project Manager, representing the buildings landlord. She will be chairing the meeting. I asked Urban American for a statement on the subject and received a no comment at this time reply. including a presentation to former RISA President Delores Green of a Women Of Distinction Award by newly elected RISA President Barbara Parker on behalf of NY State Senator Jose Serrano. Ms. Green thanked Senator Serrano for the award and congratulated Ms. Parker on being RISA President. Ms Green also asked for a stop to the bad rumors about the Senior Center and said RISA will be working with CBCA to make a relationship. William Dionne has watched the Carter Burden Center for the Aging flourish in the 25 years he’s been its executive director. 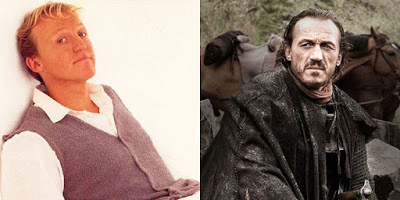 “It’s been ever growing. When I started there was just one location. We now have nine different locations,” he said of the philanthropic organization that provides services for New Yorkers 60 and older. When he began there in 1991, the center was assisting 1,500 seniors. It now helps 5,000 with 3,500 volunteers and a staff of 85. Dionne says his work at CBCA keeps him enthusiastic and quite busy, since the landscape for elderly residents is constantly changing. “The issues that we’re facing in aging today are very different than the ones we were looking at 25 years ago. And the gaps in service and need just keep growing,” he explained. Click here for the full NY Press article. We are pleased to announce that the Carter Burden Center for the Aging, the NYC Department for the Aging, Roosevelt Island Senior Association, and Doryne Isley, Portfolio Manager for Urban American, have agreed to continue our positive cooperative efforts on behalf of Roosevelt Island’s seniors. We look forward to having you join us on this journey. with the showing of Labyrinth. 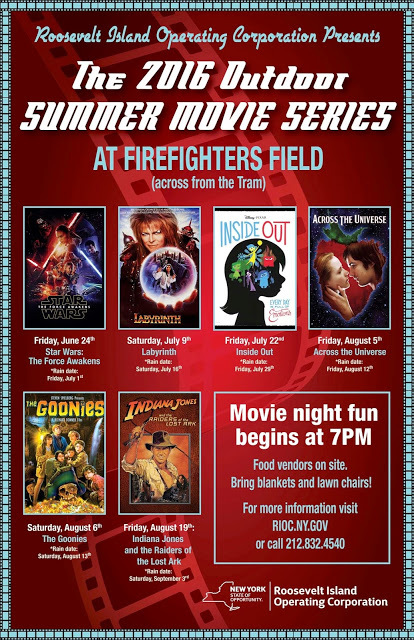 This Saturday, July 9th, we will be screening the film Labyrinth at Firefighter’s Field. Movie night fun begins at 7 PM. There will be music, trivia, prizes and a journey through Jim Henson's world of fantasy and adventure! You are welcome to bring blankets and lawn chairs. There will be food on-site, available for purchase. In the event of rain, Labyrinth will be rescheduled for Saturday, July 16th. Please be advised that the outdoor movie scheduled for this Saturday, July 9th at Firefighters' Field has been cancelled due to the forecast of thunderstorms throughout the day and evening. The movie has been rescheduled for next Saturday, July 16th. We hope to see you then! The Main Street Theater & Dance Alliance hosted several evenings of Roosevelt Island Stand Up and Family Friendly Improv Comedy shows at the Cultural Center starting last April through June. 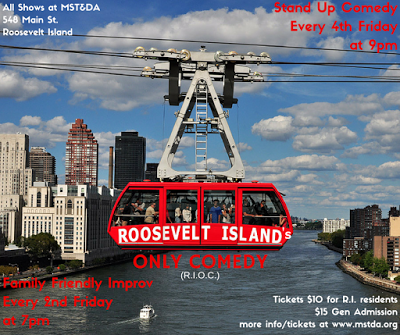 After three amazing months of improv and stand up shows, Roosevelt Island's Only Comedy show will be going on a brief summer hiatus for the months of July & August. 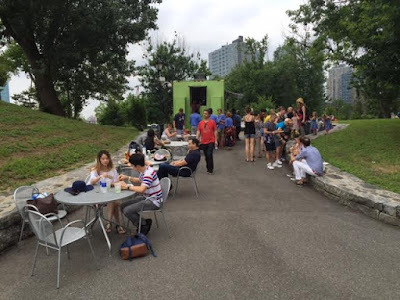 The hiatus will allow for some much needed renovations in the Roosevelt Island Cultural Center and is also in recognition that we all should be spending more time outside. We will be spending the summer revamping the shows, building line ups curated specially for Roosevelt Island, and preparing the improv classes that will begin in the fall. We've had an amazing three months so far and we can't wait to come back this fall. We hope to spend this summer building even closer ties to the community and raising awareness about the shows themselves. Should the renovations end on time, the first show in the fall will be family friendly improv on September 9th at 7pm followed by stand up comedy on September 23rd at 9pm." 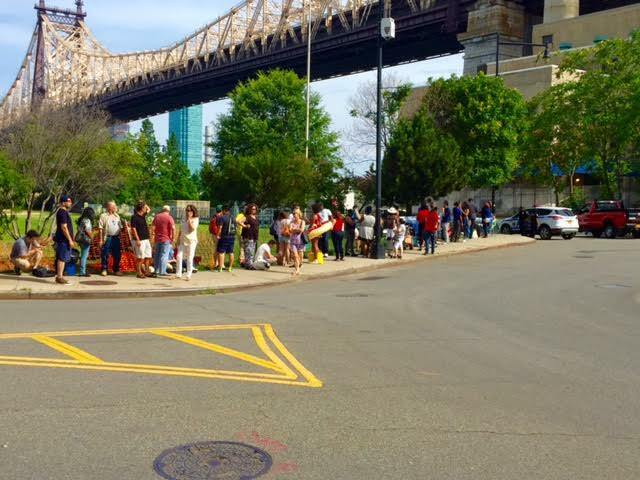 Looking forward to the return of Roosevelt Island's Only Comedy Show. Check back in September for latest info. 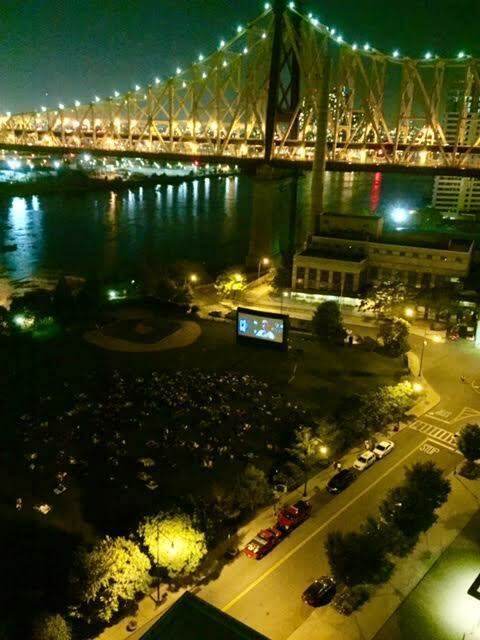 Roosevelt Island is often the site of television programs and films. 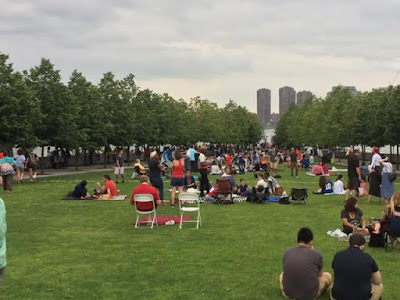 Always at the forefront of technology, Roosevelt Island has now entered the virtual world with the newly released Pokemon Go mobile phone app. What is this virtual world? With Cornell Tech campus opening next summer, we may see Roosevelt Island pop up more in future mobile phone apps. On a hot night, up on the roof is a great place to cool off. Here's my favorite version of Up On The Roof by the British pop duo Robson & Jerome. 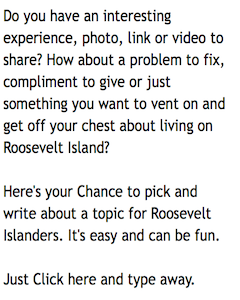 Calling all Roosevelt Islanders who care about the environment! 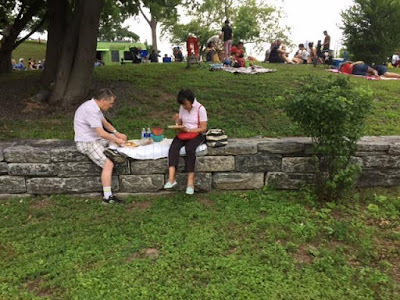 We want to connect people and support greening initiatives of all kinds on Roosevelt Island. We are gardeners and Girl Scout leaders, restaurant managers and bloggers, producers and teachers, and more. 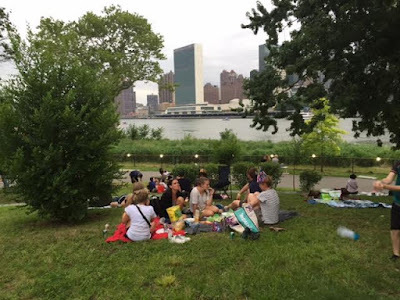 We are an informal group of people working on varied kinds of service for Roosevelt Island and our environment. Come work with us as we make our beautiful neighborhood even more "green!" 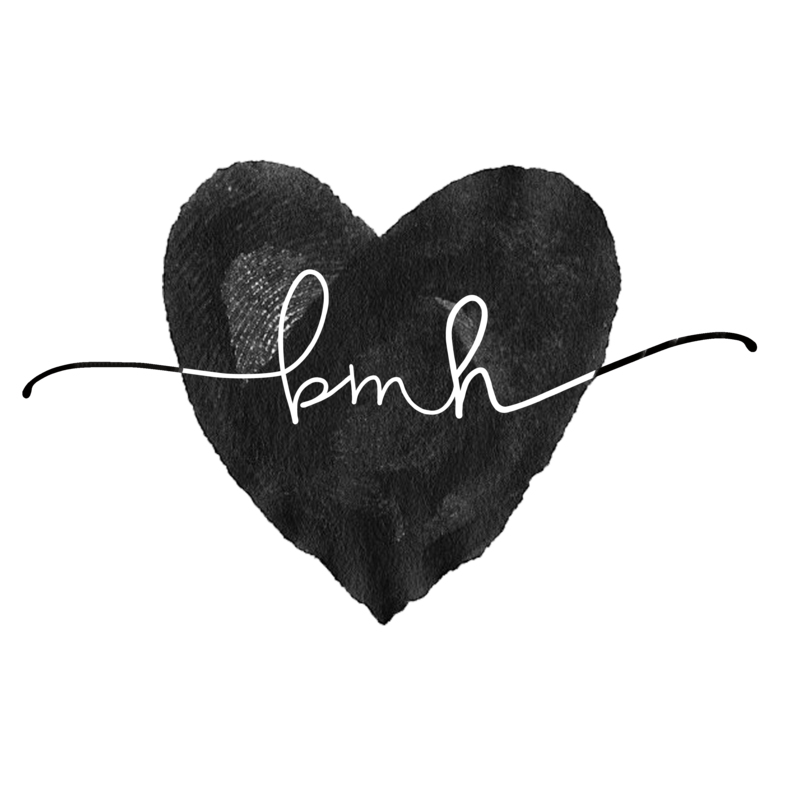 We are currently looking for people for two specific projects. Students interested in community service are welcome. Long term or short term commitments welcome. Here's how you can help GRIN. 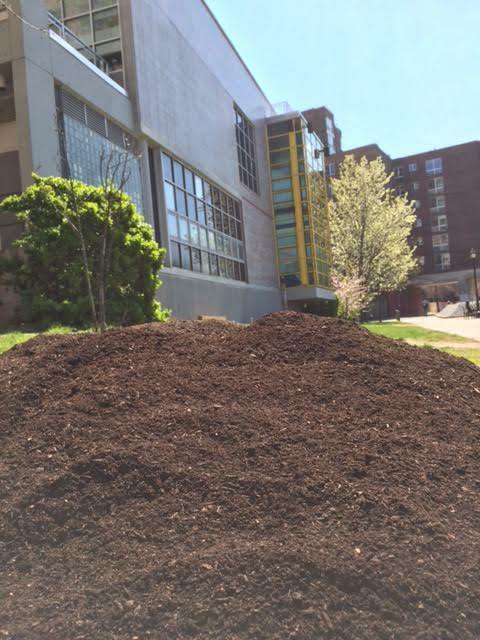 Bring used coffee grounds to compost. right here on Roosevelt Island! It also reduces methane gas by keeping the coffee out of the landfill. 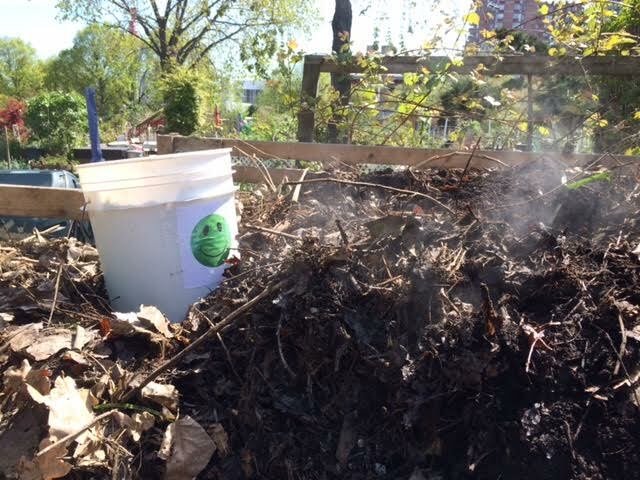 We could use more help getting the Starbucks Grounds for the Garden to the compost area and would be glad to share with other garden sites or composters as well. on Saturdays at the Farmer's Market. 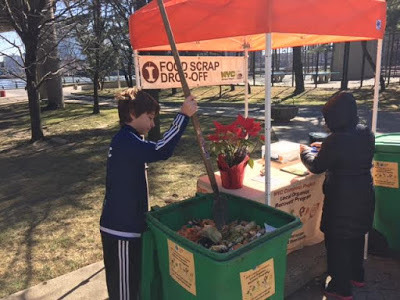 We could use your help to spread the word to get more people to collect food scraps, help set-up and take-down the compost table/bins, or give the staff a lunch/bathroom break. Through this program Roosevelt Islanders have already diverted more than 6 tons of food scraps from landfill in the past 7 months. Grounds for the Garden is a corporate program that Starbucks began in 1995. 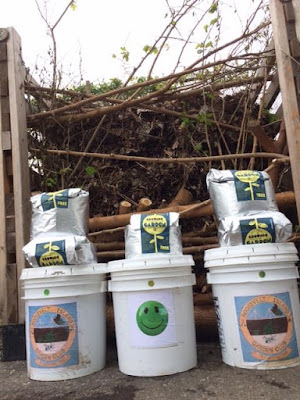 We are fortunate that Ryan, manager of our Roosevelt Island Starbucks, and Anthony, RIGC Compost Chair, got together and formed a plan along with Julia, a member, and Aiesha, a new associate. After donating food grade buckets and covering them with our logos, we began making regular pick ups at Starbucks .... The coffee grounds go into our RIGC compost piles and provide nitrogen rich ph balanced ingredients that are working like magic! 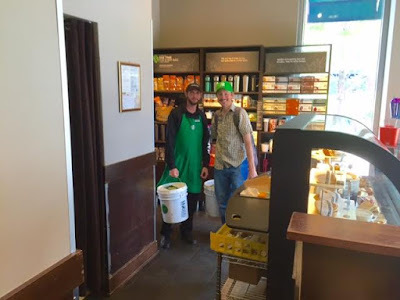 Starbucks manager Ryan is seen below handing over buckets of coffee grounds to Anthony for composting. More information on the Roosevelt Island Garden Club available at their web site. Some highly motivated people remained at Roosevelt Island's FDR Four Freedoms Park and Southpoint Park last night to view the Macy's July 4 Fireworks celebration. were rewarded with a lessening of the rain and a great Macy's July 4 fireworks show. The Twitterverse shows us portions of the 2016 Macy's July 4 Fireworks seen from Roosevelt Island's FDR Four Freedoms Park. and the Roosevelt Island Bridge. More scenes from the Roosevelt Island July 4 Fireworks celebration at Southpoint and FDR Four Freedoms Park. 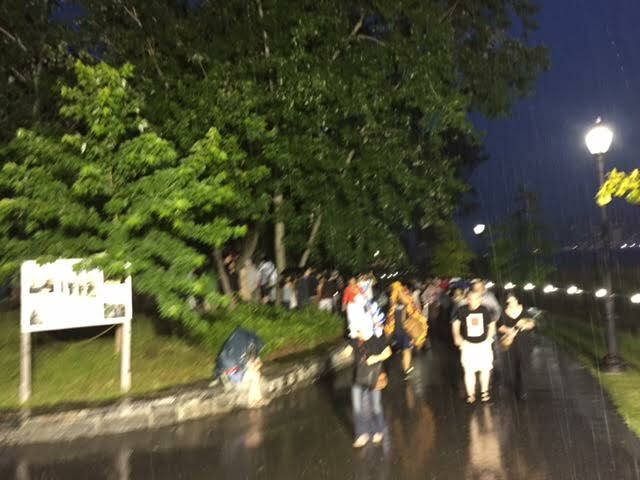 while others waited at Firefighters Field hoping to get Standby Tickets. At Southpoint Park, a few people stopped to listen to Shiner and the Kyle Lacy Band on their way towards the main fireworks viewing area at FDR Four Freedoms Park. The band's music was played on the speakers in FDR Four Freedoms Park. causing some unhappiness for hungry fireworks watchers. 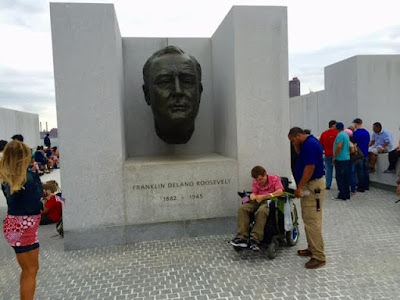 inside the FDR Four Freedoms Park. greeted visitors with American Flags. for the fireworks to begin. 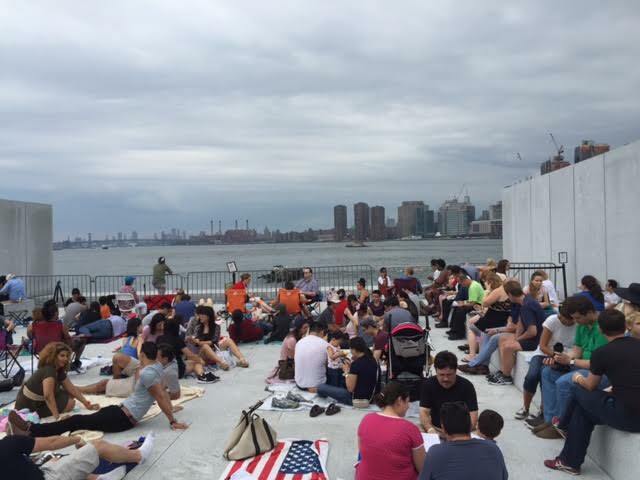 Take a walk around the FDR Four Freedoms Park as people were settling in and waiting for the fireworks to begin. A little bit later the rain began but those that stayed had a good show. Hopefully the July 4 Macy's fireworks will be on the East River again next year and the rain will stay away. July 4 will be celebrated on Roosevelt Island with viewing the Macy's Fireworks from Southpoint and FDR Four Freedoms Park. 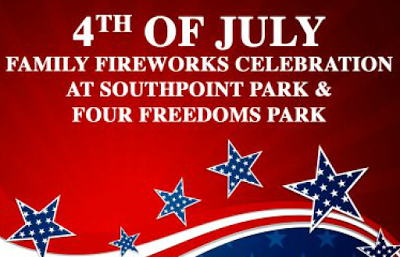 Please be advised that both Southpoint Park and Four Freedoms Park will close at 12 PM on Monday, July 4, 2016 to begin preparations for the 4th of July Fireworks Celebration. The parks will re-open at 5 PM with entry only for individuals who show valid tickets to the event. Thank you. As part of the event, enjoy live music from Shiner and The Kyle Lacy Band, who will rock out on the Southpoint Park lawn from 5:30 – 9:15 PM! Glow sticks will be on sale to brighten the party atmosphere and attendees can get festive designs by our face painters! 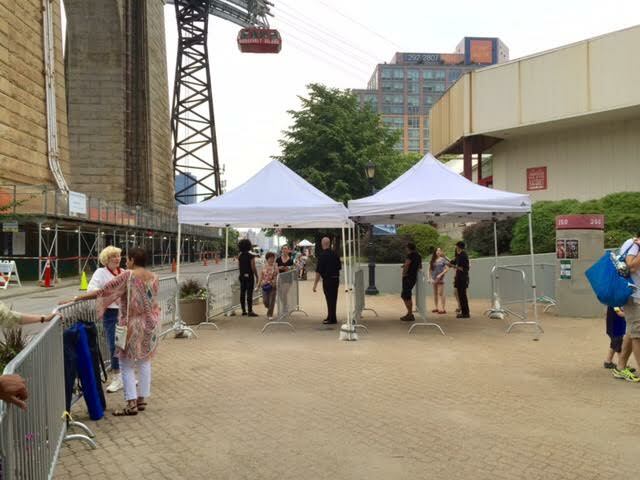 Food, including Neapolitan Express Pizza, Main Street Sweets, and Great Performances, will also be available for purchase inside Southpoint Park. Fireworks are scheduled to begin at 9:25 PM! 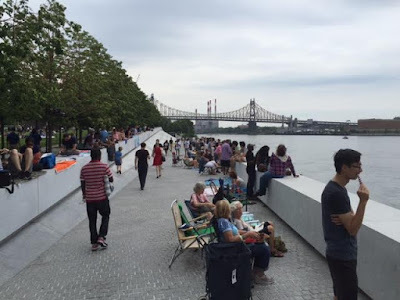 All of the Roosevelt Island July 4 Fireworks Celebration online tickets were sold out minutes after becoming available. Except, RIOC announced that single standby tickets are available. Due to the overwhelming demand, a limited number of standby tickets will be available at Firefighter’s Field on Monday, July 4th between 6-8:30 PM. Standby tickets will be given out on a first come, first served basis until capacity has been reached. Standby tickets will be one per person. Attendees must be present to receive standby wristband. YOU MUST CHECK IN FOR A STANDBY WRISTBAND AT FIREFIGHTER’S FIELD TO BE ELIGIBLE FOR STANDBY TICKETS. Please visit http://rioc.ny.gov/pdf/JULY4TH2016.pdf for full event details. Thank you. 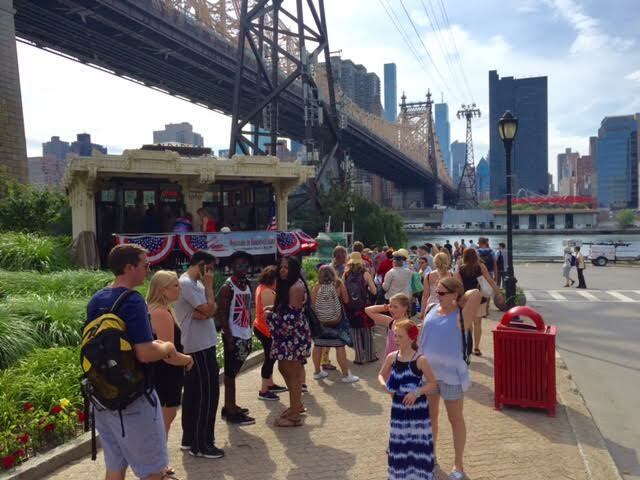 Visitors to Lighthouse, Southpoint and Four Freedoms Parks are advised that the Roosevelt Island Public Safety Department (PSD) will be conducting security spot checks of containers, backpacks and oversized bags that are brought into the parks on Monday, July 4, 2016. 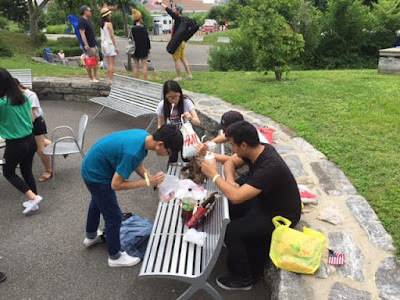 Visitors are reminded that alcoholic drinks, outside grills, illegal drugs, and other illegal items are strictly prohibited within the parks. As a reminder, fireworks are not permitted in New York State, including on Roosevelt Island, at any time. Thank you for your anticipated cooperation. Please be advised that on Monday July 4, 2016, visitor parking at the Motorgate Garage will be limited to ensure adequate parking for residents and patrons with a monthly permit. Residents without a monthly access card should be prepared to show proof of residency when approaching the 36th Avenue bridge. It is recommended that residents who need to park in Motorgate arrive no later than 5 pm to secure admittance. As a reminder, fireworks are not permitted in New York State, including on Roosevelt Island, at any time. 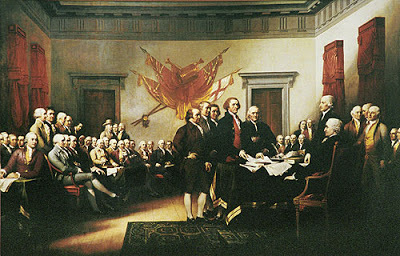 Have a happy and safe July 4 celebration. 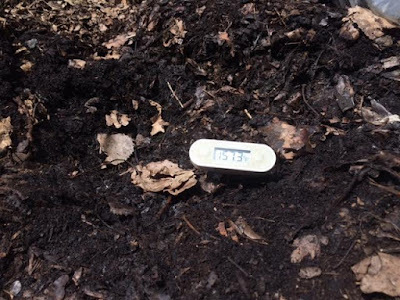 started to form shortly after 4 PM today. UPDATE 11:PM - Heavy rain began about 8 PM and many, including me, left before the fireworks started. If you stayed and have pictures or video of the fireworks, please send over and share.